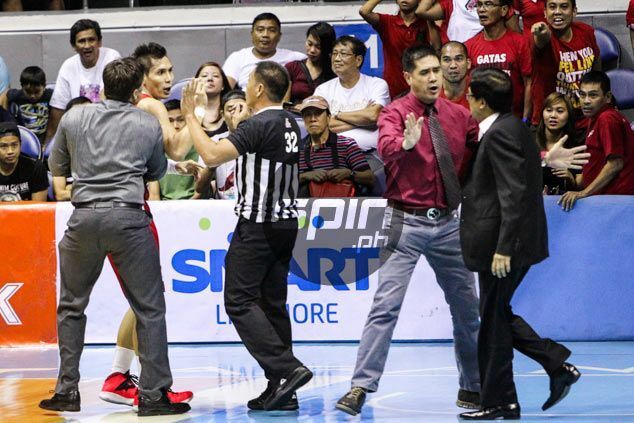 DONDON Hontiveros was left dumbfounded when PBA commissioner Chito Narvasa stepped into the court in the middle of a commotion and specifically confronted him late in Game Two of the Philippine Cup semifinals between Alaska and GlobalPort on Wednesday night. The Aces shooting guard was in the middle of a scuffle involving several players and officials from both teams late in the first quarter when he saw Narvasa standing in front of him and repeatedly pointing a finger. The Aces sniper explained he was just trying to help GlobalPort forward Jay Washington get up when Narvasa confronted him in the commotion that resulted in 13 technical fouls being handed out on players, coaches and officials from both sides. Narvasa could not be reached for comment as of posting time.